Cash Creation — M/C Counterfeit Cash Factory. 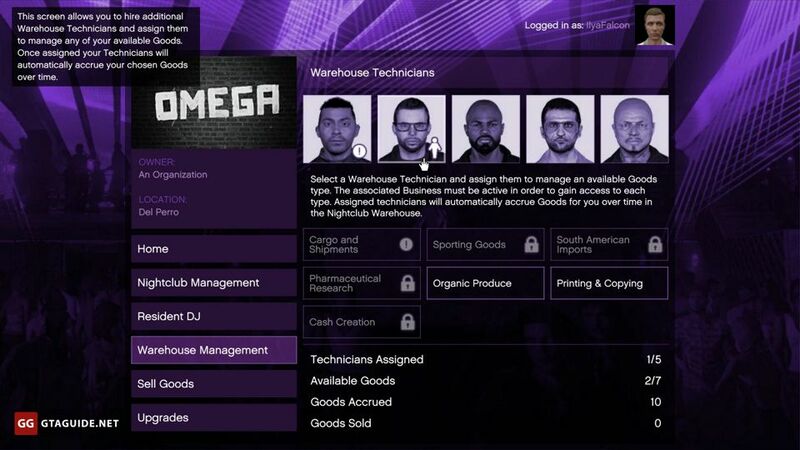 Warehouse stocks are replenished by technicians. 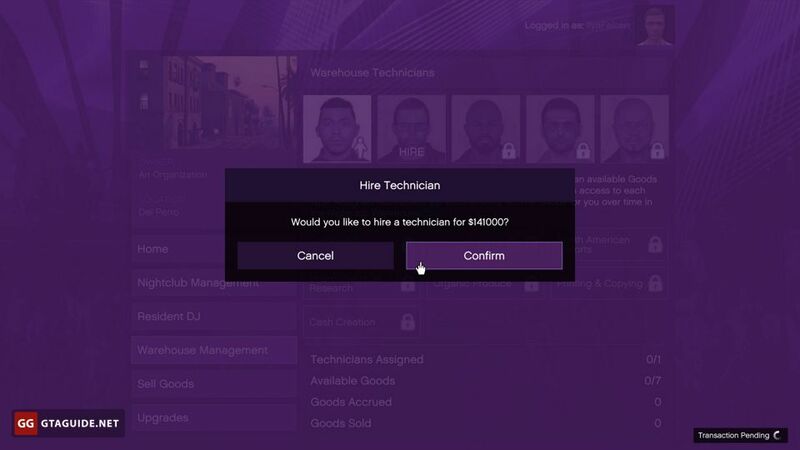 To assign a technician, you must have a business of one of the areas listed above, and it must be running. All technicians work equally and can accrue only one type of goods at a time. 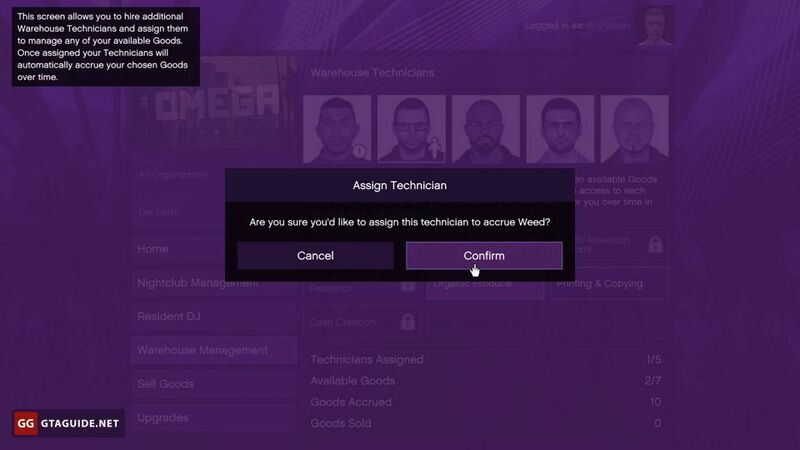 You can assign and reassign them without restrictions, at any time and without additional charges. 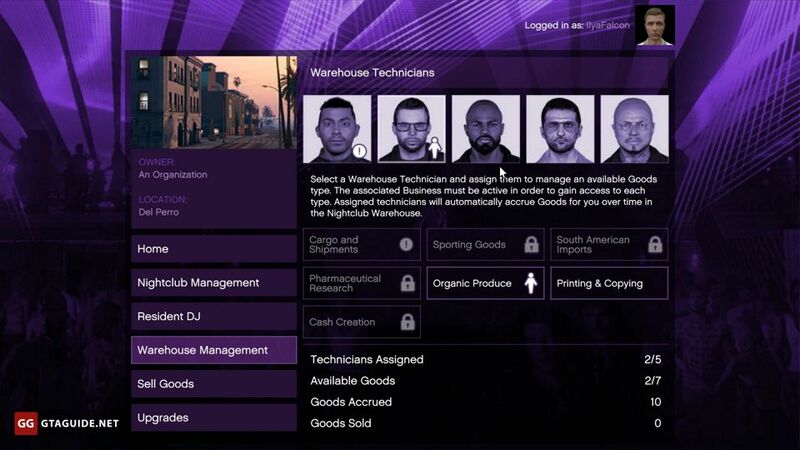 Unlike other businesses in GTA Online, here you don’t need to do resupply missions. Technicians fill the warehouse completely independently, and they do it in any type of session. 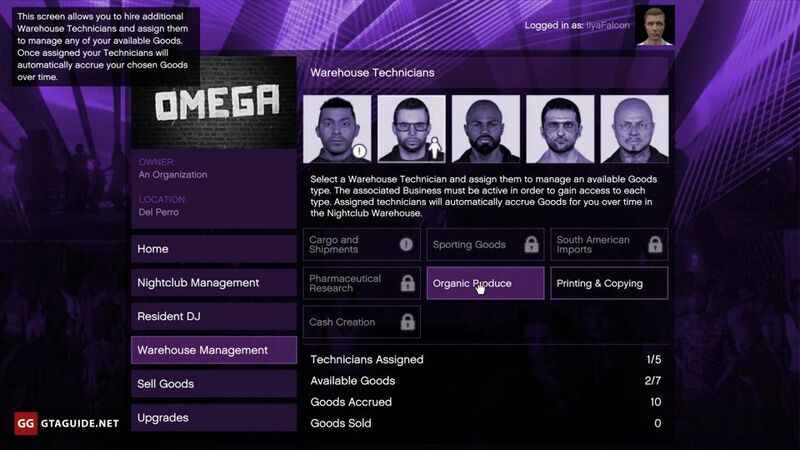 While goods are accumulating in the nightclub warehouse, it is possible to resupply your other businesses and sell their goods. 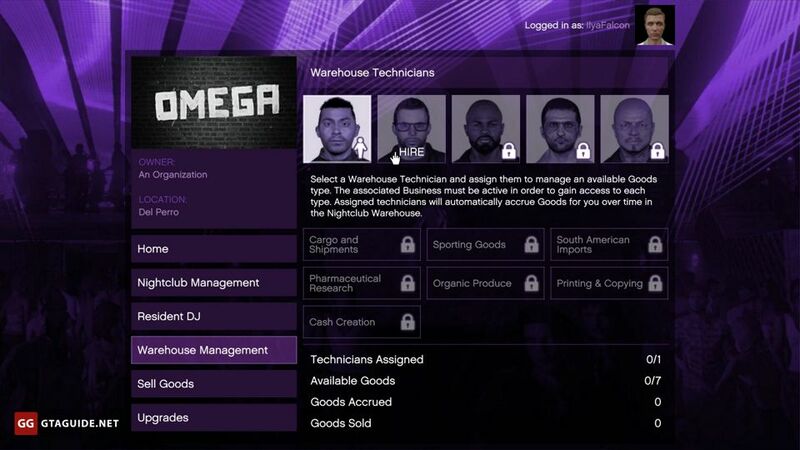 The nightclub warehouse works independently and does not affect the stock of supplies and products at other businesses. Warehouse capacity depends on the number of acquired floors, and production rate depends on the warehouse upgrade purchased. *Real time, without the warehouse upgrade. If you have the warehouse upgrade, the production rate doubles.